Berridge Taxis is Ashdalyte Ltd trading as Berridge Taxis. The registered company address is 61a South Street, Oakham, LE15 6BG. Our registered company number is: 6956272, with our VAT number being: 978 4186 62. 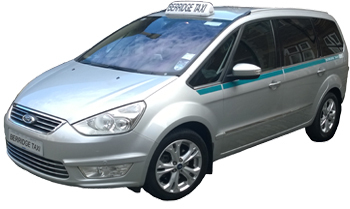 All contents on this Website and all copyrights, trademarks and any other intellectual property rights related to these contents are owned by Berridge Taxis. Except to the extent expressly permitted by applicable law, no contents on this Website may be used, copied, modified, translated, distributed or otherwise utilised without the prior permission of Berridge Taxis. Berridge Taxis reserves the right to add, delete, or modify these Terms or the contents of this Website at any time without notice. The contents on this Website are provided "AS IS" without warranties of any kind, either express or implied (including, but not limited to, any implied warranty of merchantability, fitness for a particular purpose, title, or non-infringement of third parties' rights). Berridge Taxis does not warrant that the contents are error-free. Berridge Taxis will use reasonable efforts to place accurate and up-to-date information on this Website but makes no warranty of its accuracy, completeness and/or timeliness. Except for this Website, Berridge Taxis does not operate or maintain contents on websites that are directly or indirectly linked from this Website (the "Linked Sites") . Any reference to a Linked Site or to a specific third party's product or service on the Website or a Linked Site, is not a recommendation by Berridge Taxis. Berridge Taxis disclaims liabilities for access to and use of Linked Sites. Berridge Taxis is not liable for direct, indirect, incidental, consequential, punitive, or other damages (including, but not limited to, economic losses, lost profits, lost revenues, or lost data) arising out of the access to or inability to access to this Website even if advised of the possibility of such damages. Any materials, information, or ideas that you transmit to or post to the Website ("Transmitted Material") is deemed non-confidential and non-proprietary and Berridge Taxis has no obligations including without limitation confidentiality obligations in connection with the Transmitted Material.